Objective: To study the effects of basil polysaccharide (BP) in inhibiting tumor growth and metastasis in vivo.Methods: One hundred and fifty mice were randomly divided into five groups to observe the effect on tumor growth after H22 cancer cells had been transplanted subcutaneously into their right armpit region and treated with different dosages (5 mg/kg, 2.5 mg/kg and 1.25 mg/kg) of BP for 14 days, with Mitomycin (Mit-C) used as control. 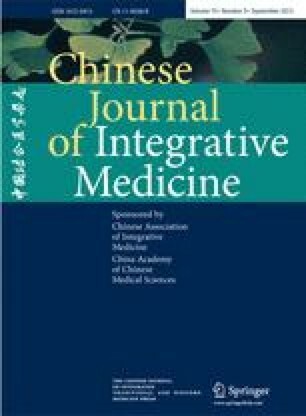 Another 150 mice were randomly divided into three groups, models of tumor metastasis in the lung by various paths (lymphatic, blood circulatory and spontaneous) were established respectively. They were treated with BP or Mit-C to observe the influence of treatments on tumor metastasis by various paths.Results: BP of various dosages showed no effect on tumor growth, but in high and middle dosage, it could significantly reduce the number or metastasis nodules (P<0.05). Conclubsion: BP has a tumor metastasis inhibitory effect, which might be one of the candidates for new anti-tumor metastasis agents. Its mechanism may be blocking the function of platelets in the tumor metastasis progress.